Hi everyone! 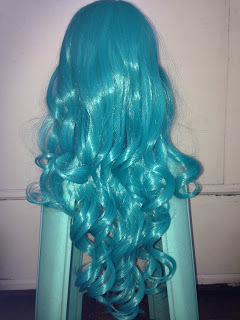 Today, I am very excited to review a beauuuutiful wig from Wig-Supplier / L-Email Wigs . 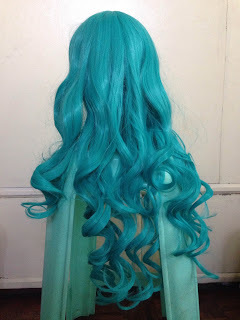 This is their 60cm long-dark turquoise wig that I will be using for my Neliel Tu Odelschwanck (Nel from Bleach) and Michiru Kaioh (Sailor Neptune from Sailor Moon) cosplays. L-Email was very nice to talk with. They reply in about a few hours and will answer all of your questions and concerns. They ship out fast and will give you your tracking number as well as a site where you can track the shipment easily as soon as they’ve shipped your order. 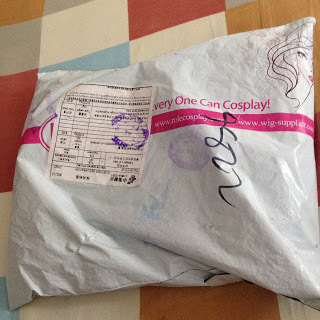 Shipping took around 4 weeks and the parcel arrived in a plastic pouch with logo and motto, “Everyone can cosplay”. 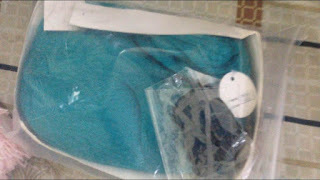 The wig was placed inside a ziplock bag and came with a free wig cap (the black one). 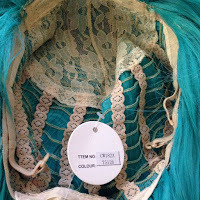 Inside it, you can see that the wig was placed in a net to avoid too much tangles and fraying. The area where you put your head also came with a paper to avoid getting the shape flatted. 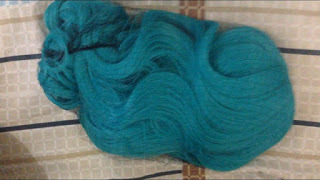 This is how the wig looks like outside the bag. The right is in normal lighting and the left is when subjected to flash. As you can see, the color is just a little bit darker and duller than the product picture but that doesn’t make it bad. The curls are so soft, beautiful and full. There are a bit of hairs that form a mess but it doesn’t tangle much. The wig also feels incredibly nice to touch. 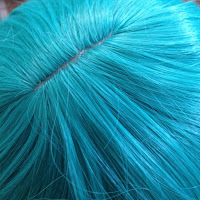 The scalp or top of the wig is strongly sewn together and not glued. This makes this durable and easier to manage. The wig has a beige lace cap and a tag with it’s codes. The color is a bit darker and less shiny in real life. However, the color on the stock photo can be achieved by maximizing your brightness in your pictures. The wig is not that shiny. It has the right amount of shine that prevents it from looking too cheap and irritating or too dull and boring. It also helps that you can slightly change the color by adjusting your brightness. Can you believe that a wig as beautiful as this is only $11.80!!?? 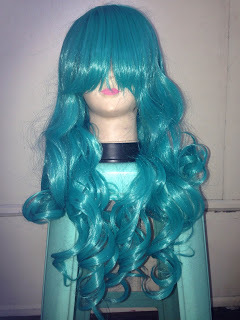 All of Wig-Supplier / L-Email ‘s wigs are soooo much more affordable than most of the online stores. 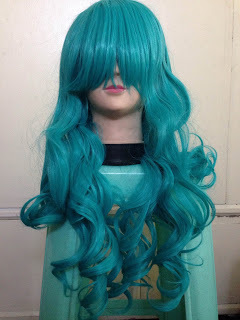 They have lot’s of colors, styles, lengths and even character specific wigs. Even their dreamy lace front wigs are so much cheaper than other stores but are of limited designs.
. The wig is super smooth, nice to touch and very manageable. You can easily run your fingers through their wigs ad the scalp is very neat and thick. I am extremely pleased with the quality of their wigs! I guarantee that your money will not be in waste because it’s worth it. I really recommend buying from them. I know they sell costumes and lace front wigs too so it’s like a 1-stop shop for your cosplay needs. 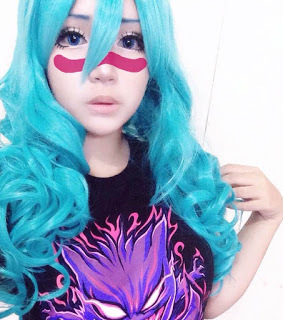 This entry was posted in Buy Cosplay Wigs, L-email Wig review and tagged cosplay wigs, L-email wig review, long color curly wigs, Wig-supplier.